Online dating sites seem to become more prevalent in Los Angeles due to the launch of Cupid and new dating application Whim providing service for singles searching for love online. In order to celebrate, Cupid.com, a successful and well-established dating website in the UK, attended a VIP private party and screening of the film Coherence for single people in Los Angeles in the Vista Theatre was released to the folks before the film. Members of the crew and cast met with the members of Cupid during the festivities. Mobile app of Cupid now is available for users of Android, in Windows store, and also on Google Play. Users of iOS can download this mobile app for their iPad and iPhone. It is very simple to use because it has the easy ways to look for your possible date without undergoing long questionnaires. When you sign up, you are able to access your photos of mobile phone to easily select some to add to the profile on Cupid. Searching is very simple, thus you can scroll the list of possible dates that meet the requirements locally either in a grid, and you are able to scroll down to look through photos. Users have the options of sending a wink, sending an email, or chatting. The map function allows you to overview thumbnails of your possible dates, based upon where they’re located locally. 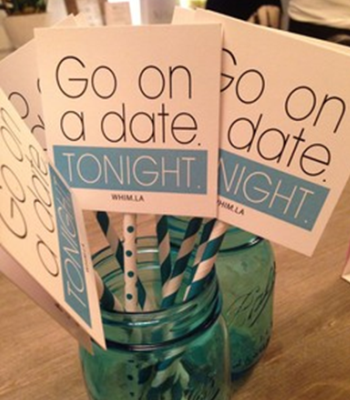 A novice to the industry, Whim online dating launched this week on the mobile browser in Los Angeles. Their slogan is “Go on a date tonight.” Still the service Whim is in beta, but in August their app will be released for Android and iOs users. Their idea is to enable singles date online and to date offline in a style of dating Grouper meets Coffee Meets Bagel. What makes them to be unique is they send you a message at 4:30 pm, thus you can check your potential dates for the night and select members you like best. By 6:00 pm, you will be arranged with someone who appeared to be a mutual match. Creating a profile takes about three minutes and members can sign in using Facebook. Like the online dating site Tinder, it pulls info from your Facebook profile and you can fill the blanks for your drinking and smoking habits or edit some private information, for instance, your education or occupation. As the end of digital day, mobile dating app is speeding up a process for searching singles on the online dating arena. It is encouraged to download these mobile apps of Cupid and Whim to broaden your search.